I was five. 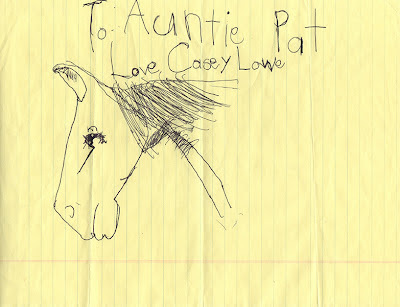 And I drew this horse, I assume for my Auntie Pat. I don't know why I did. I don't know why I thought this is what a horse looks like. But I drew a horse. 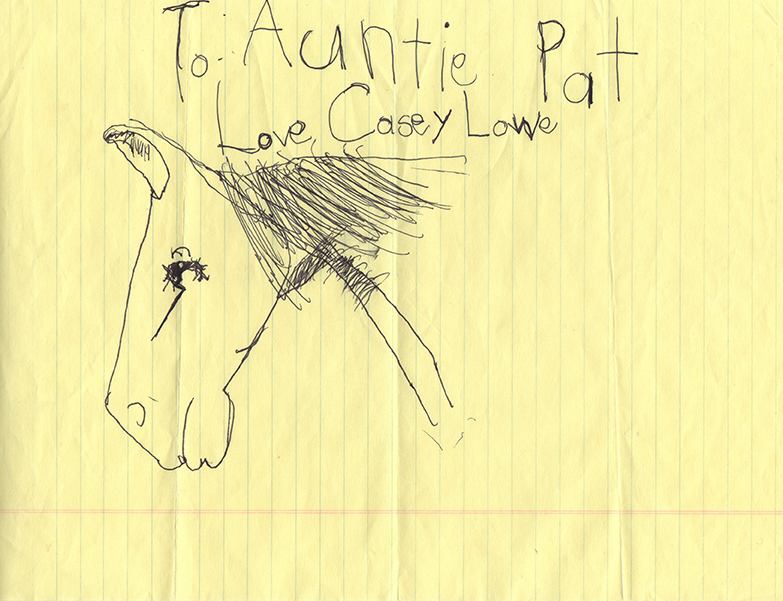 I was five. Now, I'm twenty-nine. I just got awarded a Master's of Fine Arts degree from the Academy of Art University. 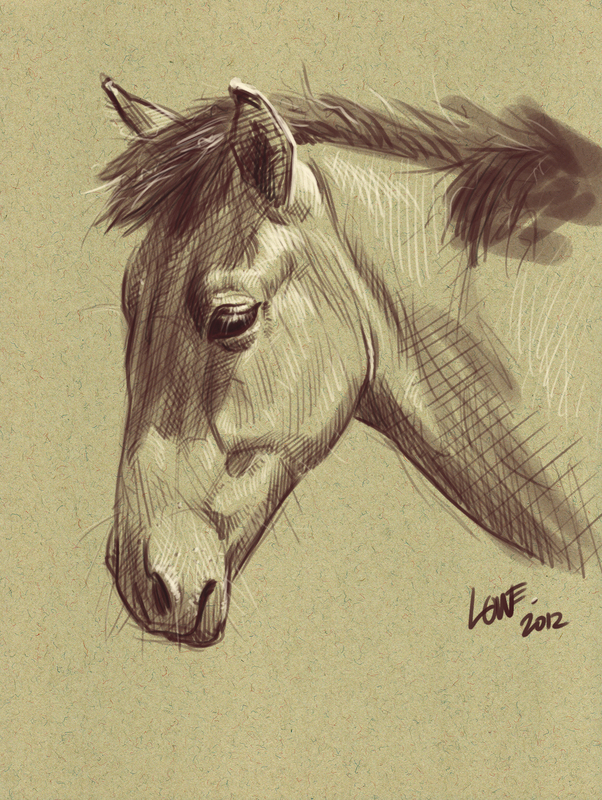 So I drew another horse. I'm twenty-nine. A lot has changed during the time between these two drawings. But one thing has not: continued support from those around me. So I'd like to take this opportunity to not only thank my parents and family, but also every teacher, every classmate, every friend, every neighbor, every coworker, and every unknown internet passerby that has supported my artwork for all these years.